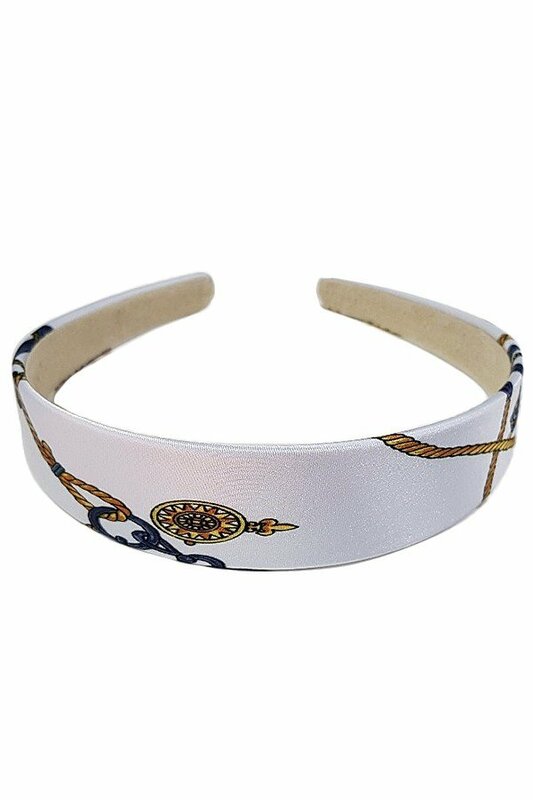 Description: Nautical print silky headband. Approx. 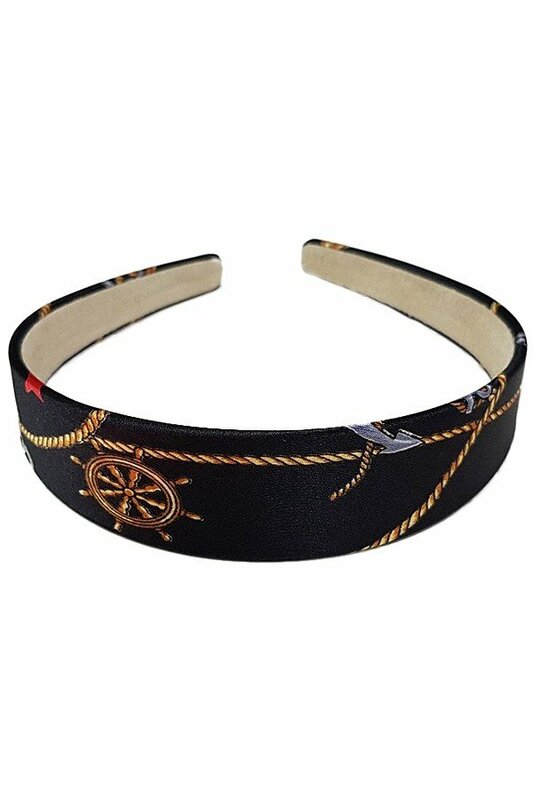 width 1.25".